Same day as my Platinum Gym Haulage (here), I decided to check out Oxygen Gym in Jabriya. I remember spotting it earlier from one of the main roads. As I was about to stumble into Oxygen Gym (why does the entrance looks like an entrance to a nightclub?) when these 2 bodybuilder-looking types (bouncers? to fit in with the whole “club theme”?) got in my face and informed me it was an all-male gym. I told them I was only looking to buy some protein, not join their precious gym. I kid you not, their demeanor totally changed after that (they pretty much turned into teddy-bears)! They told me that I should just go ahead and come back at the first week of every month (or something along those lines, I forgot) for the monthly sale (protein shakes, protein bars, etc…) which I thought was nice of ’em. My nutritionist and several other doctors had explained to me that time was of the essence, so I needed protein asap and I said so. 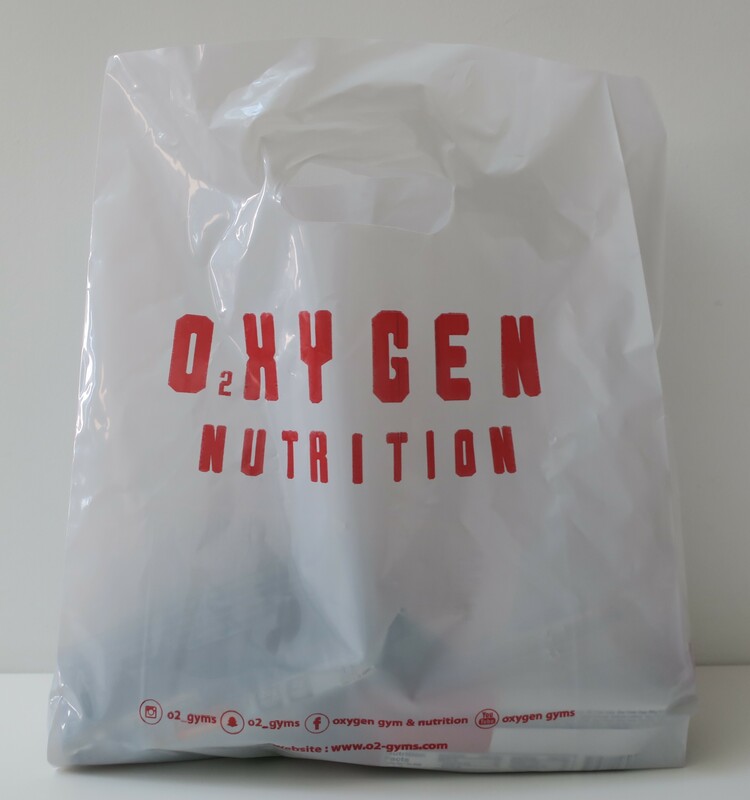 Since I couldn’t wait, they pointed out another store further up ahead and across the street that was also called Oxygen Nutrition (so… affiliated with Oyxgen Gym?) that supposedly had what I needed. I thanked them and drove there. As I got closer, I noticed thanks to the huge glass windows (you could totally see right into the place) that this place was stocked with pretty much everything! I walked out with a Whey Protein Drink (look at me, throwing out words like Whey, as if had any clue what it actually meant lawl) and more than a handful of Protein Bars. With flavors like Chocolate Iced Brownie (possible dupe for my beloved Chips Ahoy! Chocolate Chip Brownie Cookies?) 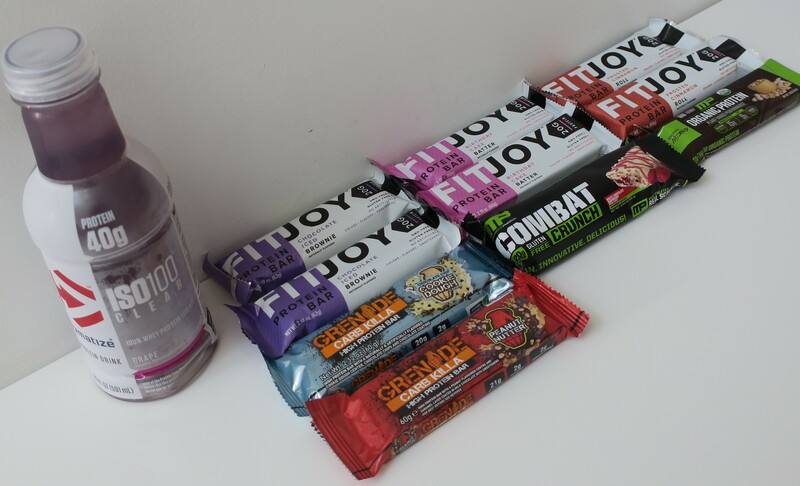 and Birthday Cake Batter and Frosted Cinnamon Roll, these FitJoy Protein Bars sounded positively yummy! Unfortunately, that was not the case. Once again, these tasted pretty much like… cardboard. In addition to retailing for KD 1 a pop, they were also having a Buy One Get One (BOGO) deal on them, that’s why I ended up with 6 FitJoy Bars (but only payed for 3). These 3 really cracked me up, insofarasmuch that I just had to get them! They’re so blatantly marketed towards men! I picked up the Combat Crunch Bar in the flavor White Chocolate Raspberry because White Chocolate Raspberry Truffle happens to be my favorite flavor of cake at Cheesecake Factory. 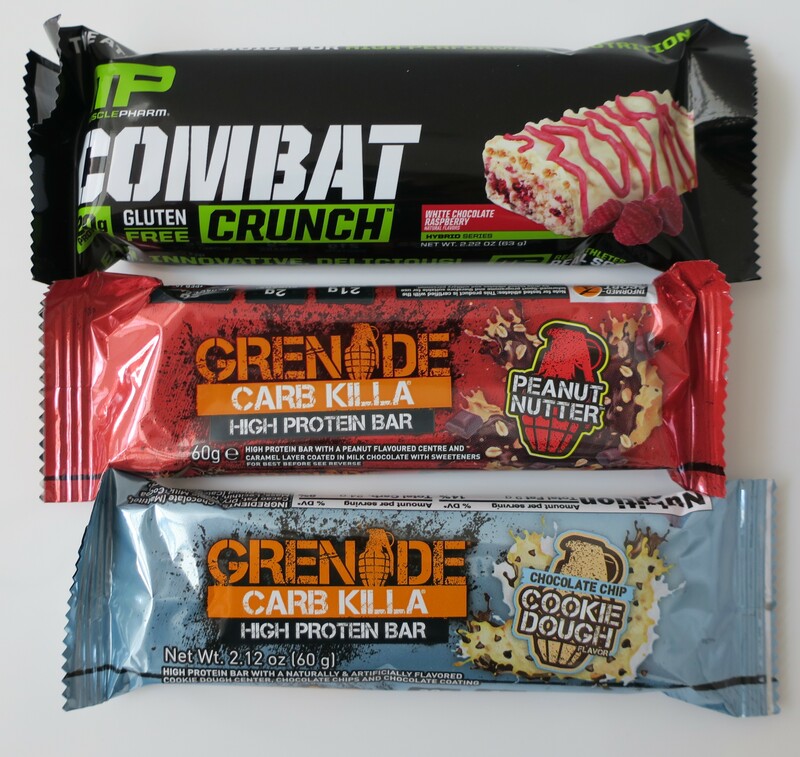 I have yet to try the Combat Crunch Bar though, because I’m still working my way through the other Protein Bars. These seriously cracked me up! I mean with words like Grenade and Carb Killa you’d think you were going to war, not the local neighborhood gym. I guess that’s the appeal, extra emphasis on the machismo. Good job on the packaging too! Anywhooo, I got the flavors Peanut Butter and Chocolate Chip Cookie Dough. Also have yet to try these. 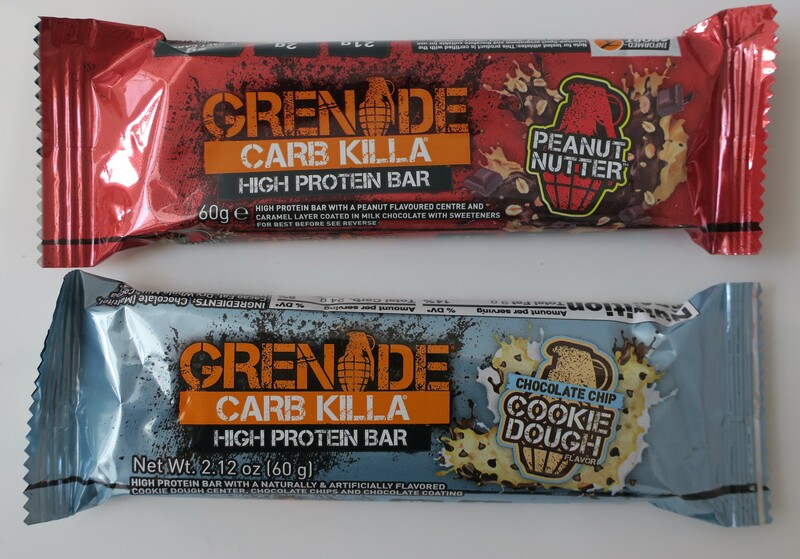 MusclePharm Protein Bar retails for ? I only chose this MusclePharm Protein Bar because it said Plant-Based Performance on the packaging lol I think I got it free for purchasing the Whey Protein Isolate (below). I had to get the Peanut Butter flavor. Still haven’t tried this out yet. So this stuff is Grape flavored… ’nuff said. Seriously though, it tasted great! It felt so refreshing too! The thing is, it also left a weird taste that I felt coated my mouth… kinda’ like I’d just brushed my teeth and had a can of soda (Pepsi) to drink afterwards. I dunno’ how to explain it, but I tried my best. Anyways, I’m definitely going to repurchase this stuff! Still not exactly sure what Whey is but I’ve heard enough of my guy-friends throw that word around to know that it has something to do with “gym stuff” (which is when I automatically tune out). So, Protein Bars are not the easiest thing to eat. I can barely make it a quarter of the way through a single bar! They taste like cardboard and effectively have the same texture. It doesn’t help that all of them are all chocolate-flavored this and chocolate-flavored that. Personally, I’d choose a savory flavor (have yet to see any of those) over all those sweet flavors, any day of the week! That’s why I’m kinda’ having trouble forcing myself to eat them. I just don’t like them lol The drinks are infinitely more palatable though! I didn’t realize how price-y this stuff was, until now. As I said, I’m definitely going to go back at some point and pick up some more of that grape-flavored Whey Protein Isolate (yummy)!